Enter to Win a Parasyte Pryze! Parasyte -the maxim- invaded Toonami in October 2015, and what a heart pounding (and, at times, heart-breaking) ride it has been. Since the last episode is airing this Saturday, April 9, 2016, we thought we’d end this series with a bang for our Toonami faithful audience! 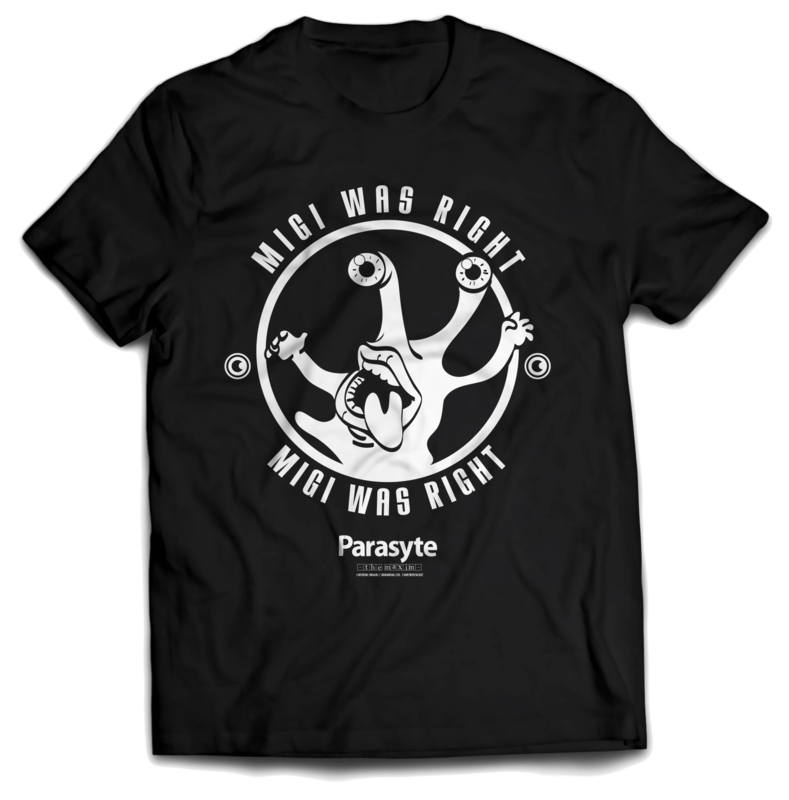 … a “Migi Was Right” T-Shirt in Your Size! Please note that the giveaway will only be available to entrants who are 18 years old or older and are also residents of the continental USA. Share your favorite memory from Parasyte -the maxim- and include the #Parasyte hashtag. It can be your favorite quote from the show, a screenshot, a gif, or a description of your favorite scene. 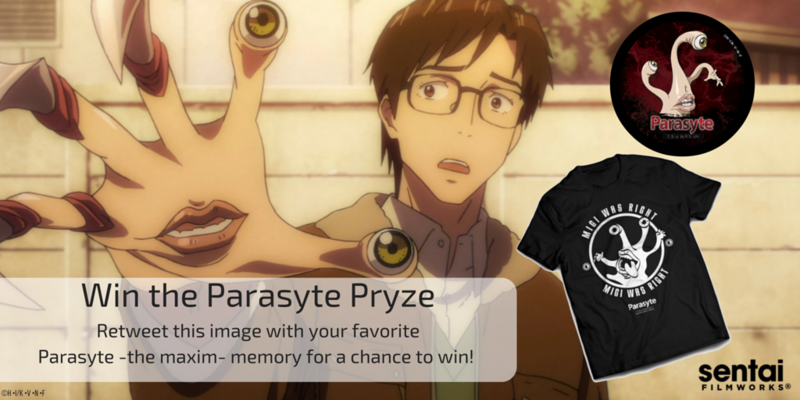 Sentai Filmworks will select a random winner among the responses to win the Parasyte Pryze on Saturday, April 9th at 11:00 PM CST, so be sure to join the Live Tweet that night. We’ll reach out to the winner via Direct Message on Twitter and announce who won during Parasyte -the maxim-'s second commercial break. We have ANOTHER giveaway coming your way, but you’ll have to tune in on Saturday night to see it. We’ll announce this special prize for our loyal Toonami viewers at 11:00 PM CST on our Twitter and Facebook page.